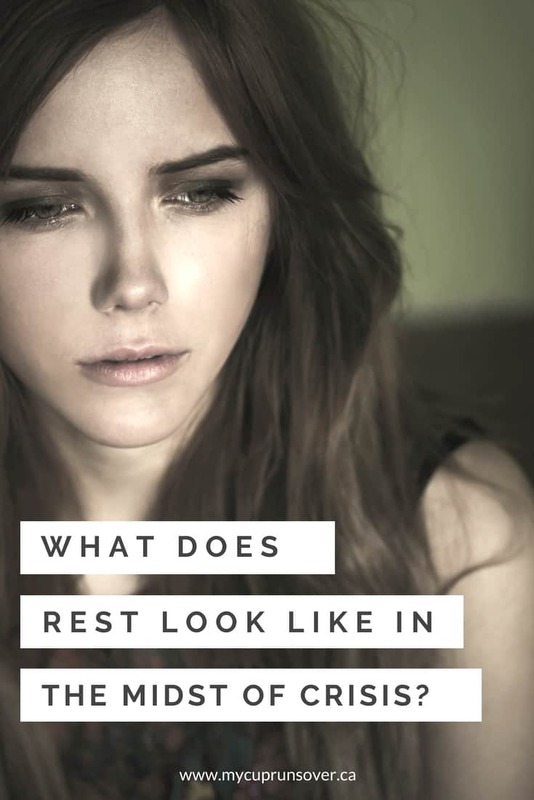 Over the past several months, rest has become a top of mind issue for me. I went from having none and being in desperate need of it to feeling pretty rest-full most days, both spiritually and physically. I know that this is the work of God in my life. He brought me to the point where I realized I could no longer continue depending on myself, and when I was ready, He re-taught me How to rely on Him. But if I'm being totally honest, there are still occasional moments when I wonder how much my current state of rest correlates to the relative calmness of my life at this time. We've found a good rhythm in our family, days flow together seamlessly, we aren't overcommitted. In these times of slight doubt, I wonder whether I would be able to maintain this position of rest and peace if I were back in the midst of a crisis. 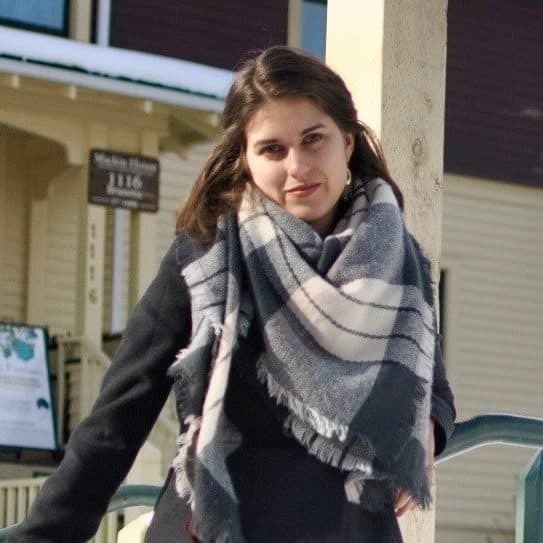 In today's guest post, Jennifer Love from Intentional Traditions offers her wisdom and insight into the challenges of learning to rest while journeying through a crisis. She reminds us that trusting in His provision and comfort is the key to rest, in both the good times and the bad. There are seasons when rest does not come in the mode you would expect, when it does not come through plenty of sleep or days free from concerns. It is in such a season that the Lord is re-forming what rest means for me. Rest right now is the foundational comfort that in the midst of trouble my hope in God will sustain me. His provision will take care of me. His presence can be with me whether I am sitting beside a hospital bed or reading a book by a lake. This summer has not been what most would call restful. My father had sudden symptoms and was diagnosed with a rapidly accelerating brain tumor, resulting in dozens of trips to the next state for hospital stays and visits. This battle is not yet over and you can read more about that impact on our lives here. A casualty of this news was the wrapping up of my homeschooling year and end-of-the-year testing. This revealed a huge measure I put upon my own performance and success, I have learned. And to keep life interesting, while away on one of these visits to my parents’ house, my city made national news for flash flooding and a potential dam break about two miles from my house. Because we have been gone so much over the summer, both of our vehicles needed their annual inspection and were at the inspection station when the flash floods swamped that low part of town. Both of our vehicles were flooded and totaled in one night. Ensue the long battle with the insurance company and stressful car shopping. Doubled. As one that is a doer and a helper, a perfect 2 on the Enneagram scale, an INFJ, or Beaver personality, God has been showing me that my “rest” cannot come from getting everything done as I would wish, as if I would sleep satisfied at night that I got my list under control and kept up all my ideals, denying that I was in the midst of tragedy. It also does not come from helplessly letting all standards fall to the ground unmet, oversleeping and giving up on taking care of my family. That would not be true rest either. Rest has come through those God has sent to me to help me. And letting them. Receiving meals, when I normally would organize the meal trains. Welcoming friends in that drop by, not worrying about them seeing my mess. Feeling content with my husband’s version of parenting, even if his idea of a snack isn’t as healthy as mine or his idea of fun isn't as tidy as mine. Altering my thoughts about my “accomplishments,” in order to be available to my extended family. Letting people drive or babysit my kids. This shouldn’t be such a big deal, but I’ll be honest, I’ve been a tad controlling about this. Choosing to smile at an empty calendar instead of feeling like I’m not doing enough. Napping without guilt and saying no to some roles so there can be more time for rest. Yet I will rejoice in the Lord, I will be joyful in the God of my salvation. The Lord is redefining rest for me. I see that it is not in perfectionism or laziness, but in help and provision, and a newer, deepening trust in Him. Despite my circumstances, He is good. 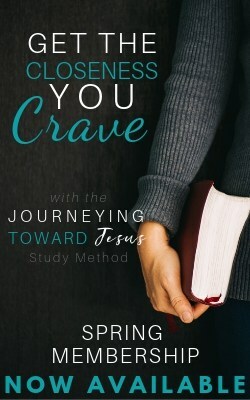 Do you want to have a closer, more intimate relationship with Jesus in 2019? Download my free 2019 Guide to Knowing God More for a detailed yet easy-to-follow action plan for getting closer to God in 2019. 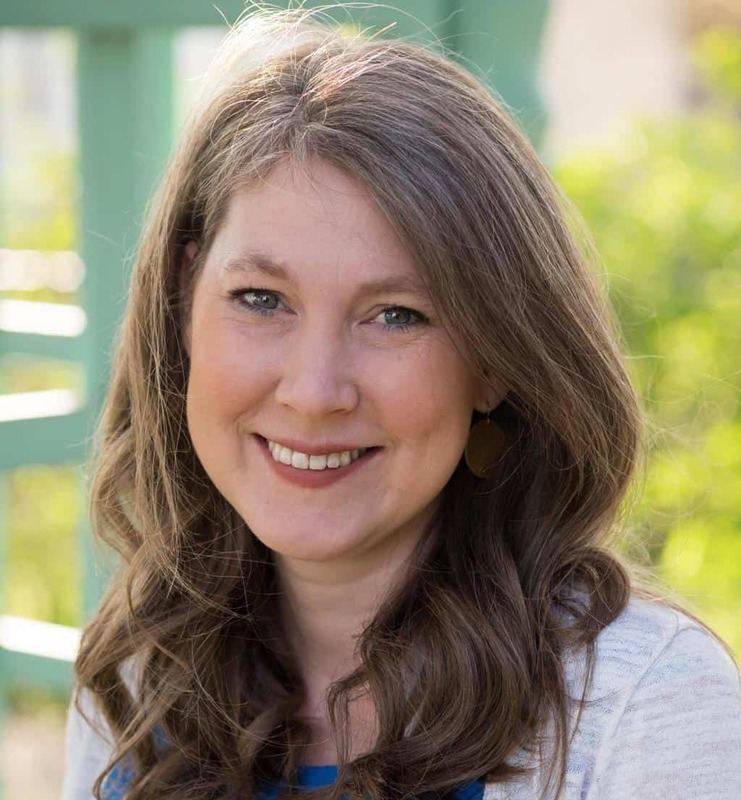 Jennifer Love is a homeschooling mom, author of the Bible in Stories and Religion Professor near the Blue Ridge Mountains of Virginia. She designs creative family resources and writes with her husband about cultivating a Christ-centered daily life at Intentional Traditions. You can follow them on Instagram for daily Bible lessons with your kids and family time ideas.